We like pictures around here. What does this have to do with pricing? Are you wondering what to sell them for? Haven’t put the finish on yet. Yes wondering ehat a good price might be. Anti gravity that’s funny. Just took a regular picture not sure why it turned out that way. Cell phone camera strikes again. Camera turned the wrong way strikes again. In a nutshell you need to find what your market will bear. It doesn’t matter what you spend on materials, labor and over head. It’d more what people are willing to pay for product. Do you live in area where people have lots of money? In a poor part of the country like the Rustbelt? You can’t do business with people who have no money. All that kind of stuff matters in what your chairs will bring. 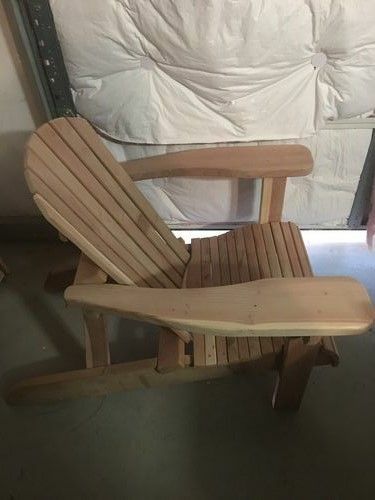 If I wanted to make and sell that style of chair I’d build a couple of them price with consideration for your time, materials,overhead and profit. Start there and go up/down if you need to. Find a pubic place where you can display and offer them for sale. If lots of people come and look but nobody buys there a good chance your too high for your area. If they sell like hot cakes you are to low. It can be a tough came. 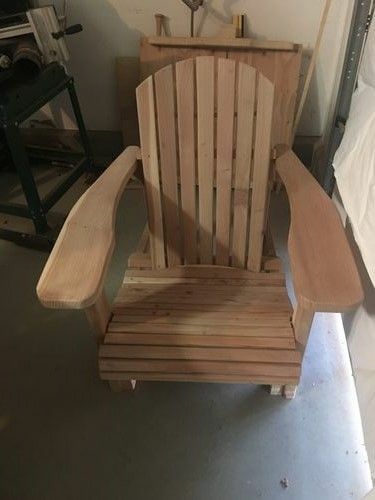 The time of year you sell your chairs may influence the price also. A lot of places like Home Depot have sales as this is near the end of summer. A lot of people like inexpensive stuff. You didn’t put a location in you profile. That can often get you better answers and quicker answers for questions. 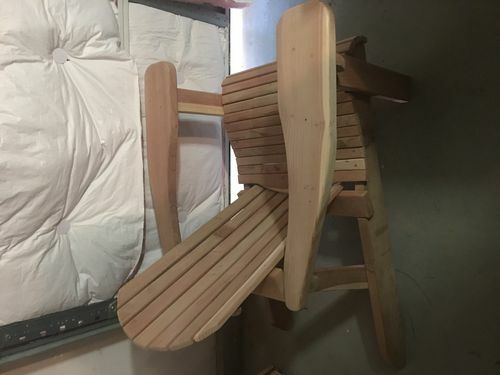 Around me (SE US) there are guys who crank out these chairs and swings out of cypress and put on the road to sell. I’ve been amazed by how cheap and how high the prices are. Rarely is there any actual joinery, its usually screws or a crown staple gun. The only “formula” I have come up with is materials X 20% + $30/hour (that includes time picking up materials, meeting with client, and any designing work). Delivery/installation I just add a bit to the materials to cover. A lot depends on your production efficiency. For example, if you mass process all your materials you may be assembly time may only be an hour. It still all goes back to what AK guy said ^^. In a nutshell you need to find what your market will bear. It doesn t matter what you spend on materials, labor and over head. It d more what people are willing to pay for product. Do you live in area where people have lots of money? In a poor part of the country like the Rustbelt? You can t do business with people who have no money. All that kind of stuff matters in what your chairs will bring. 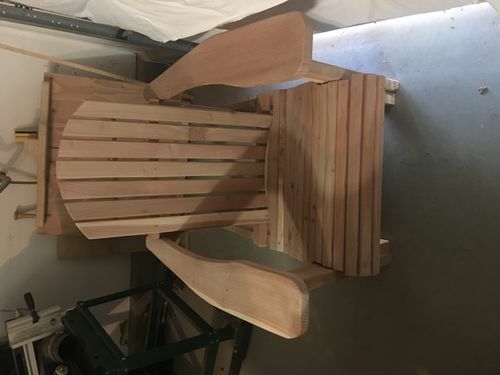 If I wanted to make and sell that style of chair I d build a couple of them price with consideration for your time, materials,overhead and profit. Start there and go up/down if you need to. You didn t put a location in you profile. That can often get you better answers and quicker answers for questions.